Breaking up is rarely easy, even for adults who consider themselves mature and emotionally resilient. Naturally, children often have an even more difficult time than their parents when it becomes clear that a marriage must be dissolved. All over West Virginia, many of the state's youngest residents feel the effects of divorce in ways that are not always clear to the adults who care for them so much. This is just one of many reasons why finding and working with a West Virginia divorce lawyer who understands how children will most likely be affected can end up being one of the most important decisions made throughout the divorce process. Few adults ever find the prospect of divorce appealing in its own right, even when no other possible solution to parents' problems seems to present itself. 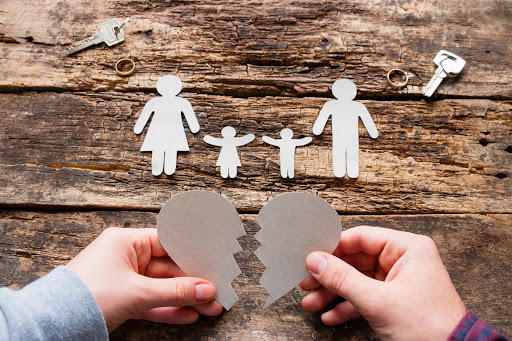 For children, however, the break-up of a marriage almost always ends up being much more difficult to bear for children involved than it is for the two individuals dissolving their marriage. Even in households where plenty of tension has existed for a long time, it will often not be clear at all to children that the situation has deteriorated. Many parents do an excellent job of keeping the most obvious signs of difficulty hidden from their offspring, so upon hearing that their parents will no longer be together, many children end up feeling confused above all else. Helping children understand why such a development has become necessary. When two parents decide that they can no longer continue their lives as a married couple, children often feel angry and betrayed. It can seem like a personal affront for two supposedly committed adults to break the bonds of matrimony for their own reasons. Once again, a lawyer who understands how such feelings arise will often be able to help clients account for and manage their situation. Above all else, splitting up will almost always mean subjecting children to feelings of uncertainty about the future. When a formerly reliable, accustomed arrangement is set to be dissolved, children will naturally be apprehensive about what is to come next. Taking great care to make suitable child custody arrangements and the like can help defuse such emotions. Parents who decide that marriage is no longer viable often do so with little idea about what to expect next. That is especially true of the various ways by which divorcing can end up affecting vulnerable, dependent children. Fortunately, attorneys who recognize the importance of such matters are prepared to help their clients make decisions that will put the interests of children first in each and every possible way. The divorce lawyers at Pritt & Pritt Law are such attorneys. We are here and ready to help.